New parents planning to begin parental leave on or after Dec. 3 will be able to spread their federal benefits over more months, but many will have to wait on provinces and their employers before they can actually get the extra time off. When the federal government's long-promised changes to parental leave rules go into effect, eligible new parents will be able to spread 12 months of employment insurance benefits over 18 months after the birth of a child. Other changes for family caregiver benefits and the option to take maternity benefits 12 weeks before the baby is due will also come into effect on the same date. Social Development Minister Jean-Yves Duclos said the changes, first outlined in this year's federal budget, combined with the new child benefit and other changes to the EI system are all designed to give families more flexibility and help the economy as well. "Anything that makes it easier for families to balance work and life is good for our economy, is good for our businesses," he said at an event at an Ottawa hospital. The change in rules will automatically give workers in federally regulated workplaces like banks, transport companies, the public service and telecoms, the option of taking time off. Provincial changes are still needed for the other 92 per cent of Canadian workers to access similar leave. So far, Ontario has publicly said it will adjust its legislation. Affected workplaces will also have to decide how to amend existing leave policies and collective agreements that spell out issues like salary top-ups. "It's only certain companies that will do that, but certainly they'll have to fit it over the framework," said employment lawyer Natalie MacDonald of MacDonald & Associates. The measures the Liberals first promised in the election have been problematic for employers and child care advocates, who asked the government to boost the value of parental leave benefits over 12 months and make it easier for workers to qualify. As designed, anyone who opts for the longer time frame will receive up to $326 a week as opposed to $543 week over 12 months. Dan Kelly, president of the Canadian Federation of Independent Business, said small business owners aren't expecting a large amount of take up for the new measures, because they seem only to benefit high-income Canadians who can afford to take the extra time off. Morna Ballantyne, executive director of the Child Care Advocacy Association of Canada, said the government should have opted to fund a dramatic increase in daycare spots for children under 18 months, which are difficult to find and the most expensive in the country, in order to help more families. Duclos suggested the extra leave could help parents with this daycare crunch. The Liberals once hinted at creating dedicated paternity leave similar to what is available in Quebec, but have since been quiet on the idea. Still, the expanded parental leave may boost the number of non-birthing parents, like fathers, taking leave, said employment lawyer Bram Lecker of Lecker & Associates. Federal officials estimate that about 20,000 families will opt for the extra time, but caution the figures could vary. Much will depend on family finances and where parents are in their careers. 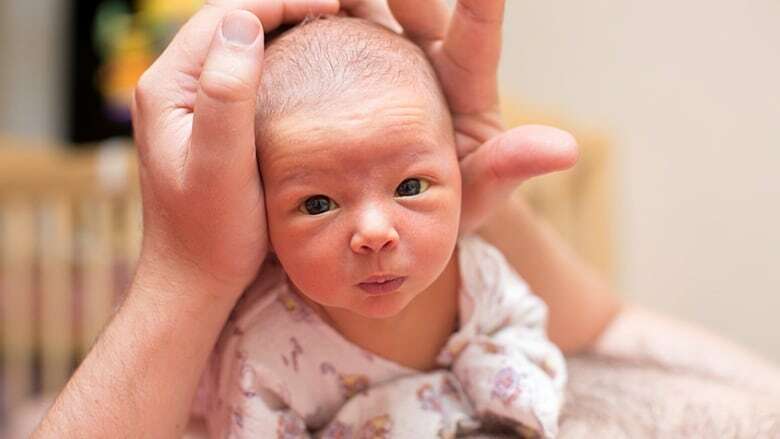 "Everyone has to do the math and most people when they're expecting a baby, the last thing they want to do is math," said Nora Spinks, CEO of the Vanier Institute of the Family. Marie-Eve Whitefield and her husband are doing the math now ahead of February, when the couple's second daughter is due to be born. She is also helping other expectant parents working at Ottawa's Montfort Hospital as part of the team that handles maternity and parental leave. "Financially it's a big decision and depending on how long my husband wants to take as well, it's a shared leave. So it's all under negotiation," Whitefield said.